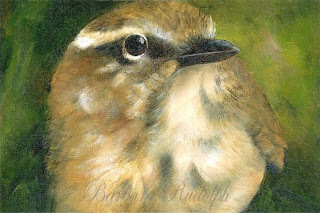 Barbara Rudolph Fine Art: BIRD SERIES - "Nate"
a framed piece. I can also offer it unframed if you prefer. He is a real cute little guy I hope you will enjoy. Thank you again for your nice comments, I am glad you like it.